Money Question - Can You Save Too Much in an Emergency Fund? Home / Personal Finance / Money Question - Can You Save Too Much in an Emergency Fund? Money Question – Can You Save Too Much in an Emergency Fund? Any personal finance book or website that’s worth reading will recommend that you save up some amount of money for rainy days; otherwise known as an emergency fund. I asked my blogging buddies for their take on the question and received a variety of answers. I’ll publish their thoughts on emergency funds over the next several days. Today we’ll hear from Henry and the Lazy Man. I’m going to make an assumption here that the emergency fund is making around 2% after inflation. This seems to be the case with the popular options such as online banks that pay high interest rates. With that assumption in place, I say that you most definitely can have too much money earning a paltry 2%. With common stock historically returning a 6%+ on investment after inflation, it’s a better place to be in the long term (in my and many other’s opinion). So where is the best place to keep your emergency fund? For probably the vast majority, the online banks that earns high interest is the way to go. For those who are home owners and comfortable with a tiny bit of risk, I would suggest looking into using a HELOC for your emergency fund. Many people would find the idea of using your home’s equity as an emergency fund crazy. Is it that crazy though? Many people use it for non-emergency situations like home improvement. Why the HELOC? If you define your “emergency” criteria enough, the vast majority of the average person’s life is going to have very few of them. With any luck, true time of using emergency funds should be less than 5 years. I’m picking that number out of a hat, I didn’t do extensive research. If that’s the case, would you rather pay a tax-deductible 8% (a realistic 6% after tax savings) for years, making 6% for another 55 years of a projected adult life? Or would you rather make 2% for 60 years of projected adult life? I’ll take the former. 1) money for a new car in case their old one gets wrecked? 2) money for medical expenses? 3) money for living expenses? He’d be saving too much in his emergency account if he could cover all of these pretty easily. Unless they have that kind of dough stashed away, most people won’t have to worry about saving too much in their emergency account. Henry brings up a good point; many people have a difficult time putting away money for an emergency fund so its unlikely that majority of people would be saving too much. However, if you do have the resources and discipline to build up an emergency fund Lazy Man gives an option for homeowners to get a better return on investment on the money you have saved while still maintaining easy and fast access to cash in the event you need it. What are your thoughts? 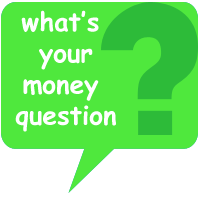 21 Responses to Money Question – Can You Save Too Much in an Emergency Fund? That’s a good point that I didn’t think about, not being a homeowner. Margin loans that I discuss on my website have the advantage of the interest being capitalized. There are no “payments”. That’s not the case for most real estate loans. On the subject of using a HELOC as an emergency fund – I think that’s probably not wise considering that in the event that the ’emergency’ is a loss of one’s job/income, dipping into a HELOC will increase the monthly payments during a time when there is no income. Ideally, I look at having three months in high-interest savings/money market, and then another 3 months to 1 year in mutual funds that can be liquidated if needed. Therefore I get long term growth on 75% of my one-year emergency fund. My thinking is that in the even of job loss, I have enough on hand to last three months, and I can get more easily if needed, but hopefully most emergencies will require less than three months of pay. As someone who’s currently “between projects” as a consultant, I can tell you that the peace of mind I’ve got with a nice 6 month emergency fund is priceless. I don’t just have 6 months of bare minimum expenses, but 6 months of no-changes-from-today so really it’s much more if I scale back (and I have no debt other than my mortgage). It has to be liquid, it has to be non-debt increasing (i.e. no HELOC) and it has to be truly mentally ‘set aside’ to be effective. I can’t begin to say how much it’s worth for me to be able to shrug off a few weeks of unemployment without worrying. Sure, it’s making 2% after inflation, but it’s worth every single last penny of lost opportunity cost. Without doubt. I think the answer depends on the vehicle(s) you are using to create your “emergency fund”. Like Lazy, I think you have to be mindful of lost opportunity costs. Also, I think you have to strongly consider the vehicles you are using to fund your “emergency fund” in the first place. the problem some people seem to have is that they can see the benefit of an emergency fund, but they also have some debt. so they find it hard to decide if it is better to pay off the debt slower and save for their emergency fund at the same time? or forget the emergency fund and focus all their energy on their debt reduction. (especially if it is high interest debt..) i would be interested in your guys thoughts? i have always thought you should, in that kind of situation, just try and get by with your credit card limit as your emergency fund (assuming the debt in question is not maxed out credit cards!) until your debt is cleared away..
My goal is to have basic expenses for a full year in an emergency fund (~$24K). The reason for this is really simple. I’ve been laid off in the past and it took me 9 months to get reemployed. I don’t want to get caught in the same dire position again. As long as you have an emergency fund, you’re better off than 80% of the people in the US. If you make it 3-6 months, you’re fine. Keep it liquid (online savings, etc.). If you want more emergency fund on top of that 3-6 mos, then put it somewhere else that is not as liquid like stocks, mutual funds, real estate, etc. If you realized you need more money after the 3-6 mos, then you have the time to get at the stuff thats not as liquid. But keep 3-6 liquid, after that, who cares, as long as you earn a good return on it. Emergency fund is supposed to be liquid enough that you can withdraw immediately. If a large amount of the fund remains liquid, then you can’t use the fund to make long term commitment such as investing in stock market. In this case, you will miss the superior growth of your money that you could get if the money is invested rather than sitting in your savings account. Good point jc, insurance helps lower your risks in the event of an emergency which means you might not need to save as much in your emergency fund depending on your personal risk tolerance. I think it also depends on what kind of insurance you have. I have good coverage for STD and LTD through work which I pay taxes on, so if I ever have to draw it it will be tax free. Anybody with significant assets should probably have high coverage for their auto insurance as well as an umbrella policy. Renters/homeowner’s should cover the homestead. So, if you have enough money to have a large emergency fund you should probably have insurance anyway to cover what could be considered emergency situations (disability, liability, etc.) anyway. With those covered I think a 3-6 month emergency fund seems reasonable (perhaps more or less depending on volatility of one’s job). On a serious note, if one has mutual funds, it would seem to me that he/she can’t believe “one can never have too much in an emergency fund.” If one did truly believe that wouldn’t they move the mutual fund money to the emergency fund? I’d like to have an 10 year emergency fund, but not at the expense of other goals, like making bigger gains in a stock market for retirement and/or saving for a child’s education. I think one can never have too much in an emergency fund. My goal (seriously) is 18 months’ worth. Money Question: What Do You Look For In An Online Bank Account? Can You Save Too Much In An Emergency Fund? What Do You Think? Can You Save Too Much In An Emergency Fund? Money Smart Life » Can You Be Too Conservative with Your Emergency Fund? Are You Saving Too Much Money In An Emergency Fund?